This image is from the August page of my 2018 calender. 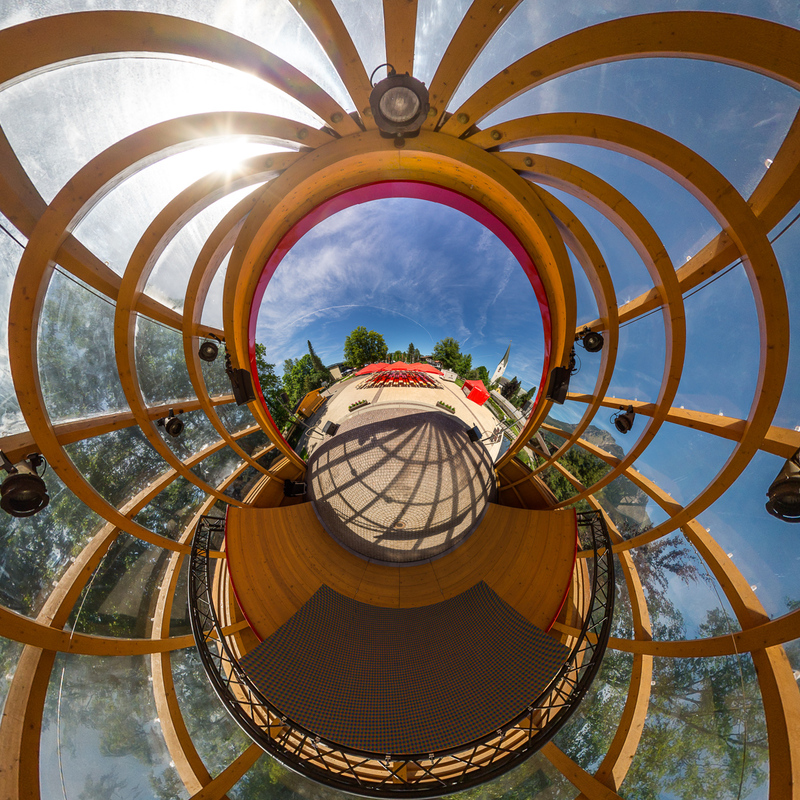 This image shows a remapped photosphere and was taken inside the orchestra shell of Oberstdorf (Bavaria, Germany). Reprojection is little planet (stereographic down). A detailed "Making Of" for a reprojected Droste effect panoramas of the "Three Green Stripes Panorama". This image shows a stereographic reprojection of Akureyrarkirkja. Every third year the world's largest fair - the bauma - takes place in Munich. This panorama has been taken just below the boom of a "Hitachi 2600 Ex-6". I'm not sure about the price of this concrete pump, but I'm pretty sure it isn't cheap! But you got a Maserati for free when you baught it at bauma 2013. This panorama shows one section of Loch Ard Gorge. It can be reached by some steps from the carpark.